Western White Pine – After we know the types of pine tree, this time we will give a review of western white pine. This is a type of pine that is widely cultivated as a bonsai plant. Its name is western white pine, it has a characteristic with 5 needles in one bundle. The wood is so white that it is named white pine. While monticola means “mountain dweller”. Pine trees around the world are estimated to be around 115 species, including 35 species in North America. Pine is grouped into two types: soft pine and hard pine. The paid pine has 5 needles in one bundle, while hard pine has only 2-3 needles in a bundle. 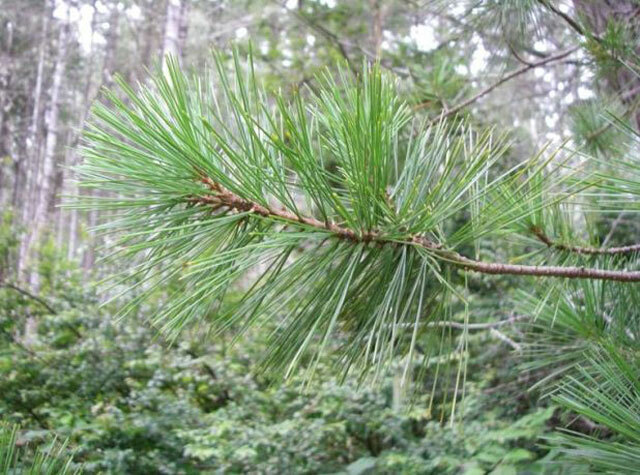 Western White Pine is included in the soft pine species because it contains 5 needles in the bundle. Western white pine trees are native to southern Columbia, western Washington, western Montana, the Cadcade mountains, and North Idaho and grow in the Sierra California. Monticola pine trees can grow fast and usually the body is 45-60 cm in a year. This plant can sometimes grow up to 40 meters in cultivation. But there is also a growth of 67 meters as in Oregon, close to Fish Lake east of Medford. Western white pine trees can grow for up to 400 years, even some trees have lived up to 73 meters. This pine tree lives in moist with high humidity to a dry place. 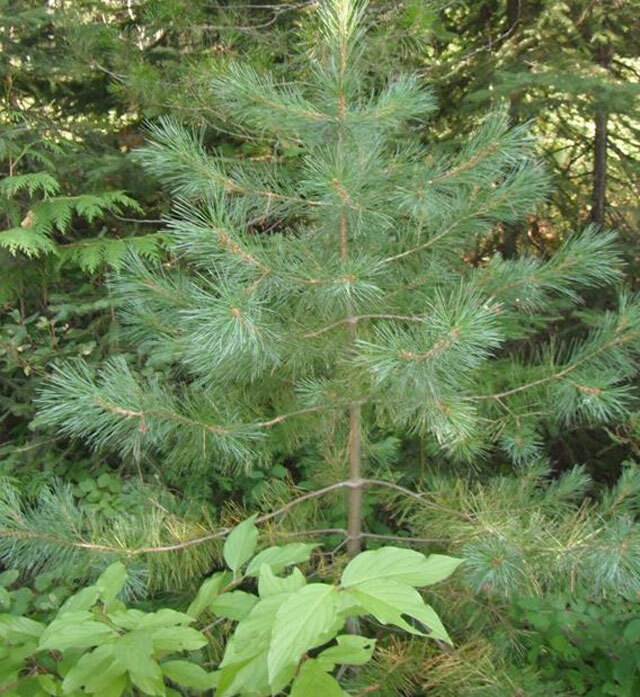 White pine trees are easily known by their height, soft, have 5 needles in one bundle. This tree has a softer cone compared to hard pine cones. The western white pine tree has its own beauty and charm. This is very good if planted in an open yard because of its shady growth. You should not plant it in a car park because it can infect pathogens. Phenology: The blooming period of this plant is the end of June and mid-July. While the cones mature from August to September. How to grow western white pine trees is by seed. Stratify seeds at 40 degrees F for 120 days. Next, sprinkle it on the ground. White pine seeds can last up to 4 years but their ability to germinate can decrease over time. Another way to grow is to plant very young shoots, but this is difficult to succeed. In addition, Monticola pine is also grown using micropropagation techniques. This is a type of pine that is very valuable and much in the public interest, especially the North Idaho area. White pine has a soft, easy to process, and has a good texture. Wood from pine tree Monticola is very good for making doors, windows and moldings. In addition, wooden matches were also made from Western White Pine in the 1920’s and 30’s. Monticola or western white pine is also used as a medicine. Native Americans boil pine bark and are used as a medicine for stomach pain, tuberculosis, it is also used to heal wounds. In general, western white pine is the number two food for wild animals after oaks seed. Pinecone is a nutritious food that is very interested in wildlife such as Clark Nutcracker, grosbeaks, crossbills, jays, chickadees, nuthatches, and woodpeckers. White pinecone is also a good food for small mammals such as chipmunks and squirrels. While “foliage” is a favorite food for grouse and deer. Western white leather and pine wood are also the food of Porcupines and small rodents. While pine leaves or needles are the best material for woven birds and other wildlife. Birds usually make nests in tall trees to be safe from prey.